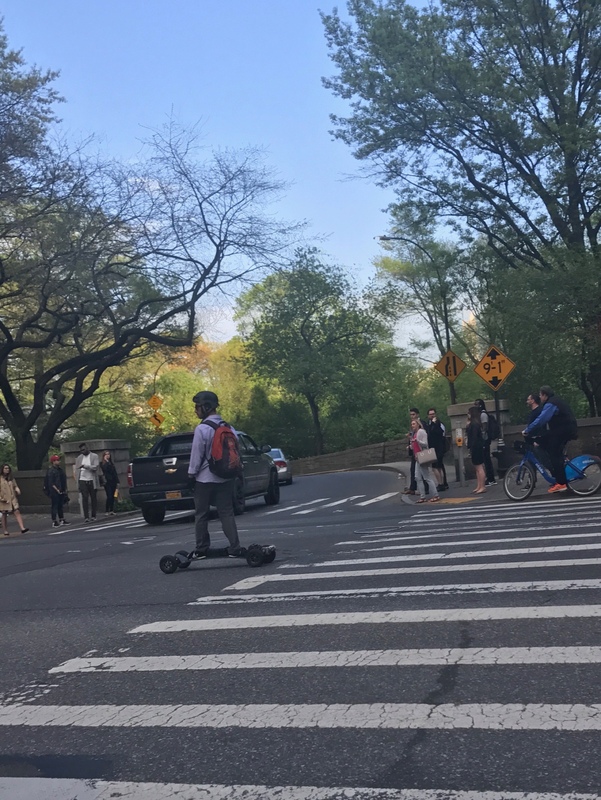 Second of two electric skateboards seen in the wild today. Dear God, are these things really happening? This entry was posted in Not quite a skateboard on May 1, 2017 by stern. I see them almost everyday on the Hudson River Bike Path. The look so dull. You just stand there with a joystick and go straight. There is no room to slalom… and they top at about 10mph (or so), so I just blow by them on my 45 lb Citibike. The first one I saw, the guy was staring at his cell phone as he rolled west on 57th Street near 5th Avenue. I assumed at the time that he was controlling his speed with an app on the phone but I suppose it’s equally possible that he was just an idiot.